The resort was conceived as a reinvention of the beachside cottage, of a place in the Florida Keys which we return to year after year. A place where we revisit the familiar, we document moments, we build lasting memories. 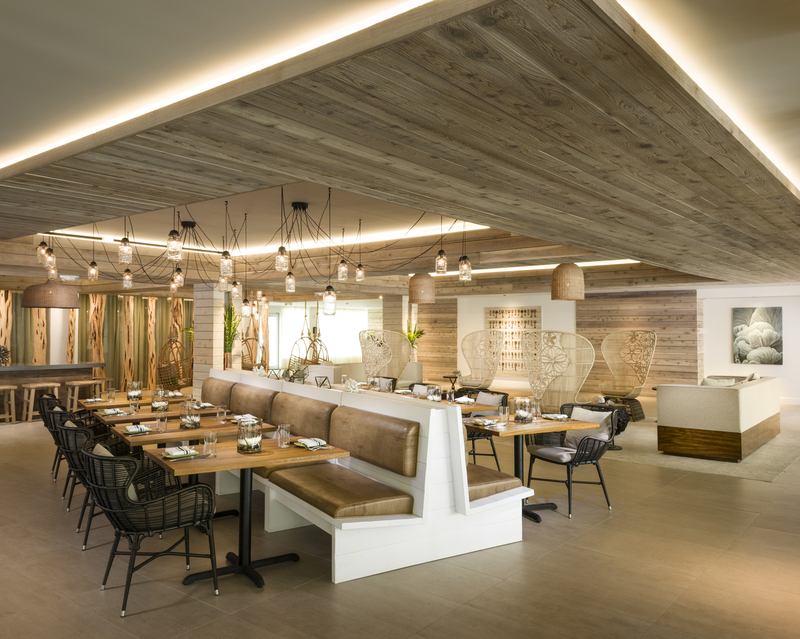 The resort is a fresh reinvention of the cottage, using rustic textures and playful fixtures. It thrives on establishing a guest’s sense of ownership, of personal space, of un-rushed comfort, communal privacy, and social intimacy. The design is intended to allow the guest to shed their urban armor upon entering the space. A local artist created the entry signage above the registration desk, hammered brass nails shaped into words along the rusticated wood slats, woven together with common string. 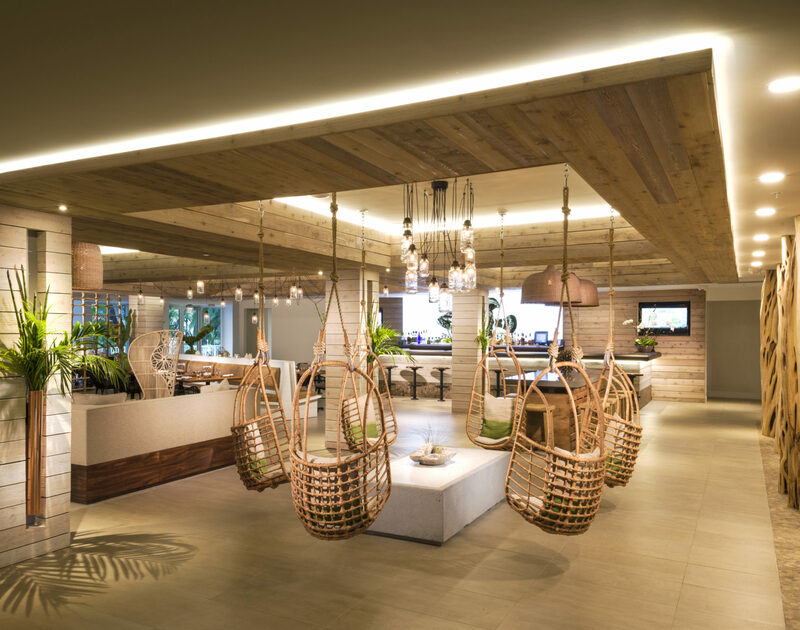 A set of hanging chairs, the very first seating group adjacent to the registration area, informs the guest that the hotel is whimsically playful. The tree stumps lining the wall, a forest of hand scraped white cedar stumps, allude to its material sincerity. The artwork behind the bar speaks of its unapologetic local history and casual sense of humor. 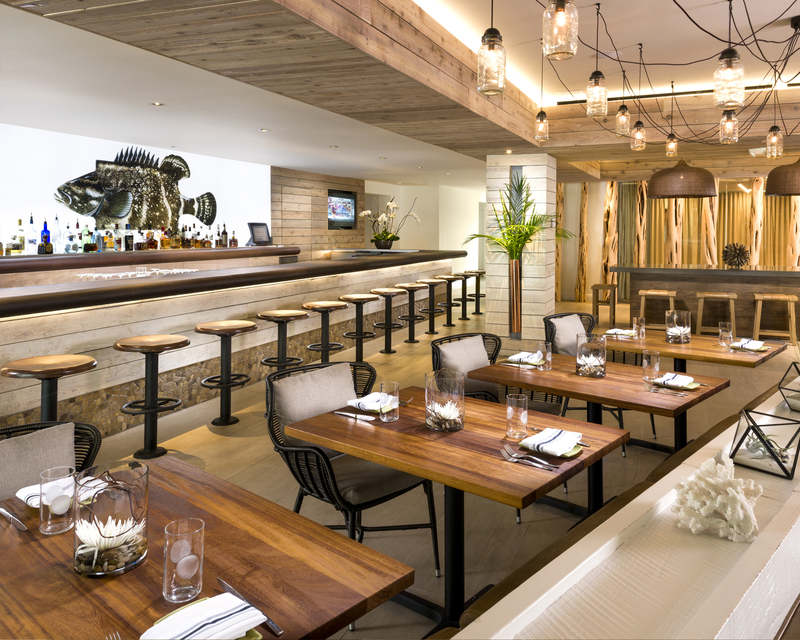 The custom copper vases, cantilevered from the columns within the lobby, splash rebellious green palm fronds into the room and cast dramatic shadows on the floor.